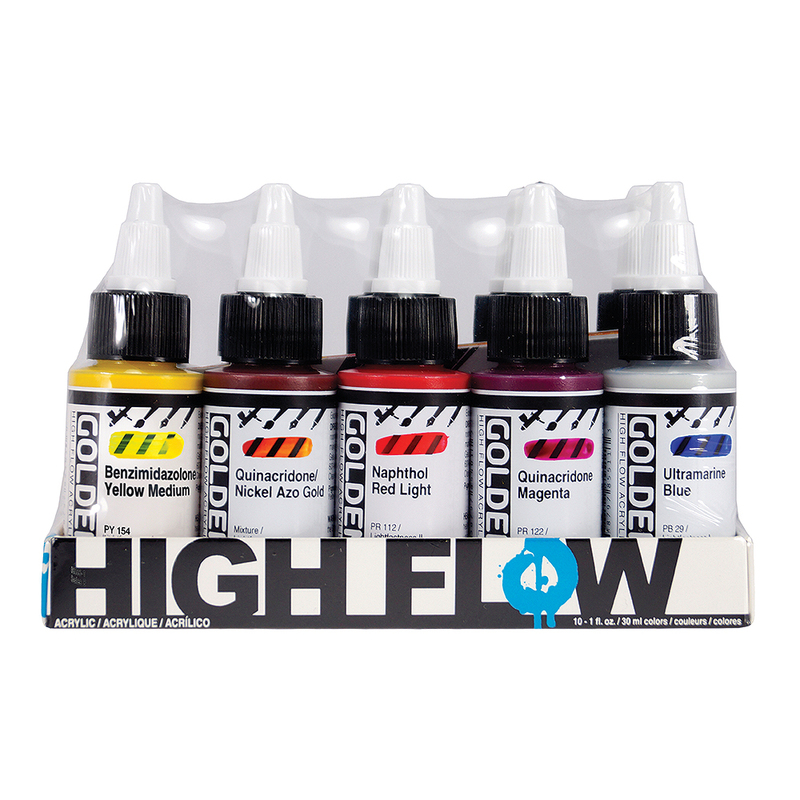 This set of Golden High Flow Acrylic Paint contains 10 x 30ml bottles of transparent acrylic colour. 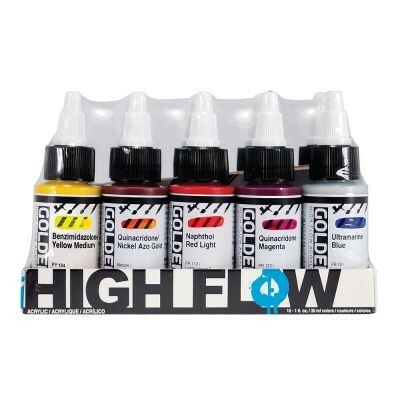 The High Flow range is a range of intensely pigmented acrylic paint with an ink like consistency. Made from only the finest artists pigments, these paints offer brilliant colour across a variety of applications. Use them for brushwork, in paint markers, dip pens and airbrushes for such techniques as staining, leveling, calligraphy, mixed media and more!